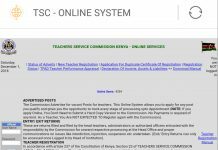 The Teachers Service Commission, TSC, has today issued a statement on the Commission’s take on the strike threats by the Kenya NAtional Union of Teachers, KNUT. Via a circular dated 2nd January, 2019, the TSC Chairperson (Dr. Lydia Nzomo), TSC insists schools will reopen tomorrow as scheduled and has directed all parents to take their kids to school. On 20th December 2018, the Kenya National Union of Teachers, KNUT, issued a strike notice to the Cabinet Secretary, Ministry of Labour and Social Protection threatening strike action from 2nd January, 2019. The Notice, which was copied to the Teachers Service Commission, cited four grounds which touch on: Teacher promotion, Teacher Transfer, Teacher Appraisal programme and Teacher professional development. Subsequent to strike notice, the Cabinet secretary for Labour and Social Protection, Hon. Ukur Yatani, appointed a conciliator on 20th December 2018 to help the Union and TSC resolve any outstanding issues. The Commission is fully committed to the Conciliation process. The Commission is fully committed to the conciliation process. At this point, i wish to clarify that TSC has not failed to attend any conciliation meeting to which we had been invited. This includes yesterday’s purported meeting. All along, the Commission has continuously demonstrated its commitment to industrial harmony in the teaching service by putting in place structured engagement mechanisms. The most significant is the 2017-2021 Collective Bargaining Agreement which significantly improved the terms and conditions of service. Moreover, in October 2018, the TSC organized a five day retreat with KNUT to address any issues arising from the implementation of the 2017-2021 CBA. Regrettably, the Union forced an adjournment halfway through the deliberations after it put forward two impossible pre-conditions to the negotiations. To start with, the KNUT demanded the revocation of 85 cases of transfer of teachers who hold elective positions in the union. Secondly, KNUT demanded that union officials be exempted from any future transfers. This could not be granted as it has no basis in law and policy. In any case, teachers are employed to serve learners, not unions. In the last few days, the Commission has taken time to review the Circumstances, timing and the context of the current strike threat. The commission has also assessed the impact of past disruptions to learning programmes through industrial action. 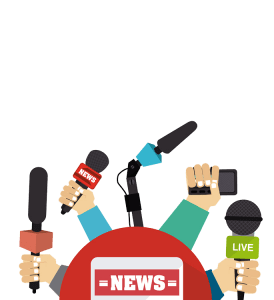 The general conclusion has been that disruption of learning through industrial action has unnecessarily put into jeopardy the safety and well being of learners. This is contrary to the provisions and spirit of Article 53 of the Constitution which spells out the rights of children. Some of these include the right to free and Compulsory education and safety at school and home. Further, under section 4 (a) of the TSC Act, the Commission is required to always act in best interests of the child in all its undertakings. In signing the 2017-2021 CBA, the Commission expected that disruption of learning programmes would be eliminated and the right of children to quality education safeguarded. This is because learners are primary clients in our school system. a). The TSC will fully participate and support any efforts to resolve the current dispute, including the ongoing conciliation, in order to ensure smooth operations of teaching and learning programmes in all schoolls. b). 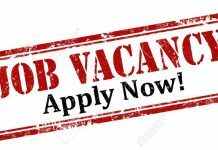 The Commission appeals to all teachers to report for duty from 3rd January 2019 and embark on teaching and learning programmes under the direction of Heads ofv Institution. Thus, heads of institutions must be in their respective stations to ensure quality learning and teaching, and there is no disruption whatsoever to those programmes. c). A time has come for us to balance the rights of employees and those of learners who are the primary clients in the learning and teaching matrix. 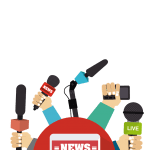 In view of this, the Commission does not, therefore, contemplate a situation where learners will go without a teacher for even the shortest duration of time. The Commission does not also consider pre-mature closure of schools as an option. 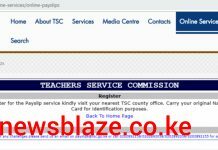 In this regard, the TSC has taken the considered decision to promptly assign teachers in its data base in case of non-attendance to duty by those employed to attend to learners. 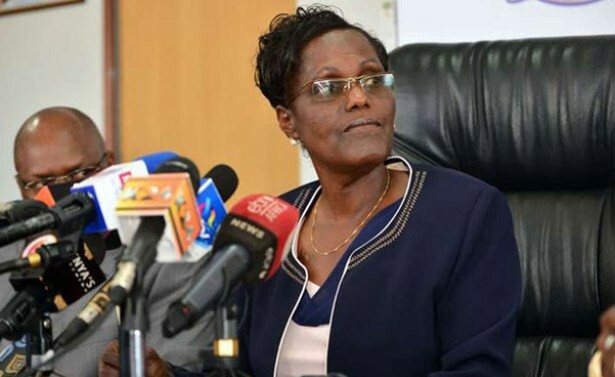 The TSC Board has thus directed the Chief Executive Officer, Dr. Nancy Macharia, to immediately activate the necessary mechanisms to engage teachers in its data base where they may be needed. This will ensure safety of learners and continuity in learning programmes even as the various parties work on a lasting solution to the industrial issues in contention. Once again, a time has come for us to stop anybody fro using Kenyan children as human shield. That time is now. d). All parties should ensure they take their children to school on 3rd January 2019 in readiness for the first term programmes. As I have said, teachers will be available to attend to all learners. Lastly, the Commission wishes to thank all teachers throughout 2018 in the implementation of the school curriculum, Further, I wish to once again restate our commitment to amicable settlement of all industrial issues in the interest of our learners. I assure all teachers and other stakeholders of the Commission’s commitment to the full implementation of the 2017-2021 CBA as signed with the unions. The Commission appreciates the decision by the Kenya Union of Post Primary Education Teachers (KUPPET) to engage with TSC for amicable resolution of issues emerging from the implementation of the 2017-2021 CBA.